From career airline pilots to private pilot hobbyists, every aviator will tell you that learning to fly is a rewarding pursuit. Whether you’ve always aspired to fly, or flight has become a means to overcome fears or add adventure to your life, the cost of flying shouldn't dissuade you from pursuing the unique benefits and sense of achievement that aviation offers. With the right preparation and follow through, you'll be well on your way to paying for flight training. So, as you take your first steps toward the cockpit, consider the following to help devise a plan that suits your financial preferences and training goals. If you can, set aside a fixed amount every month to finance your flight training. Even if these savings only help with unforeseen costs, such as extra sessions to master landings, they can prove instrumental in keeping you on track. From the outset, it's hard to know at what pace you'll progress through flight school. Any little bit of extra money helps so you don't have to worry about making purchases that will help you with your flying. Once you get in the air, you won’t want to return to the ground (save for the occasional touch-and-go). So, before you start training, knock out all the earthbound tasks required for your pilot’s license. Complete ground school. Pass the FAA Airman Knowledge Test. Get your medical. That way, the airplane can have your complete focus. Among others, the following organizations offer scholarships for primary training: Aircraft Owners and Pilots Association (AOPA), Experimental Aircraft Association (EAA), Aviation Exploring, Aero Club Foundation of Washington, Aircraft Electronics Association (AEA), National Air Transportation Foundation (NATF), National Gay Pilots Association (NGPA), Ninety-Nines (International Organization of Women Pilots), Virginia Aviation Business Association (VABA), Women in Aviation International (WAI), AeroClub of New England, LeRoy W. Homer Jr. Foundation, and Michigan Takes Flight. 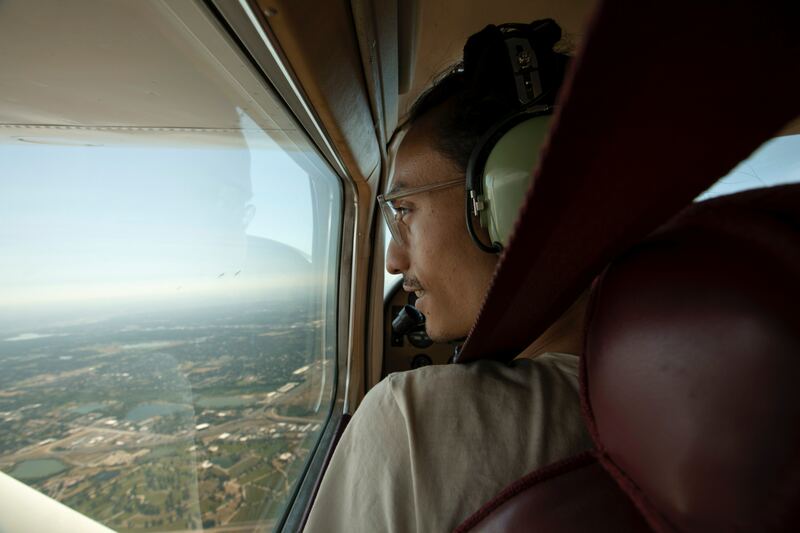 On average, scholarships save student pilots thousands in training costs. If you find a scholarship for which you’re eligible, you should take the time to apply. There are a number of obvious variables that will impact the cost of your training: the price of mandatory private pilot kits, aircraft rental rates, simulator rental rates, instructor rates, class rates, and so on. Flight schools should make these costs clear to you. Beyond hourly rates, though, how a school manages its resources also will impact your cost. How does the school use its aircraft and simulators? Are its instructors spread too thin? Before you commit to a flight training organization, check out our checklist of The Essential Questions You Need to be Asking Every Flight School. Do your homework - It’s designed to make the best use of your time with the instructor and to keep you safe in the cockpit. Go to class - Familiarization and muscle memory are vital to a private pilot’s learning. When too much time elapses between training sessions, bits of knowledge slip through the cracks. A consistent training schedule will allow you to progress through flight school in a more efficient manner. Pay attention and ask questions - You’re paying to be there so it would be pretty weird if you acted too cool for flight school. However, when you first start training, nerves and information overload can be distracting. Focus on one task at a time and throw a flag if the instructor is progressing too quickly for you. In the long run, methodically developing a foundation of knowledge will benefit you more than rushing through your training. Either way, you'll end up retreading lessons. It's best to do it in the present while the material is fresh. Beyond what your instructor asks of you, any extra initiative you take will help you get ahead. Consider spending some of your downtime with aviation-related activities. Read about aviation. Watch cockpit videos of pilots flying. Talk to pilots at the airport. In general, keep your head in the cockpit as best you can. Flight training is a deeply personal pursuit, but one to which every pilot can relate. The aviation community is close-knit and supportive. Lean on it to keep you motivated and inspired. Even if your school has a flight simulator, investing in one for consistent, at-home use is beneficial. A quality desktop simulator will allow you to drill maneuvers repeatedly without concerning yourself with hourly rates. If the price of simulator hardware is more than you’d prefer to spend while you’re in school, consider at least purchasing simulation software for your personal computer. While you may not be able to achieve the feel of flying an aircraft, you still can spend extra time becoming familiar with the cockpits of specific aircraft and the approaches into specific airports. In addition to the tips above, you should seek the guidance of any aviation professionals that you're able to contact. Now, more than ever, the aviation industry is eager to develop the next generation of pilots. You may be only a few calls removed from someone who will help you locate the best scholarship and training programs for you.